The art and science of beautiful smiles. graduated with honors from the University of the Pacific School of Dentistry and pursued intensive education in Full Mouth Reconstruction and Temporomandibular Joint Rehabilitation at the distinguished Foundation for Advanced Continuing Education. The San Francisco Dental Society. 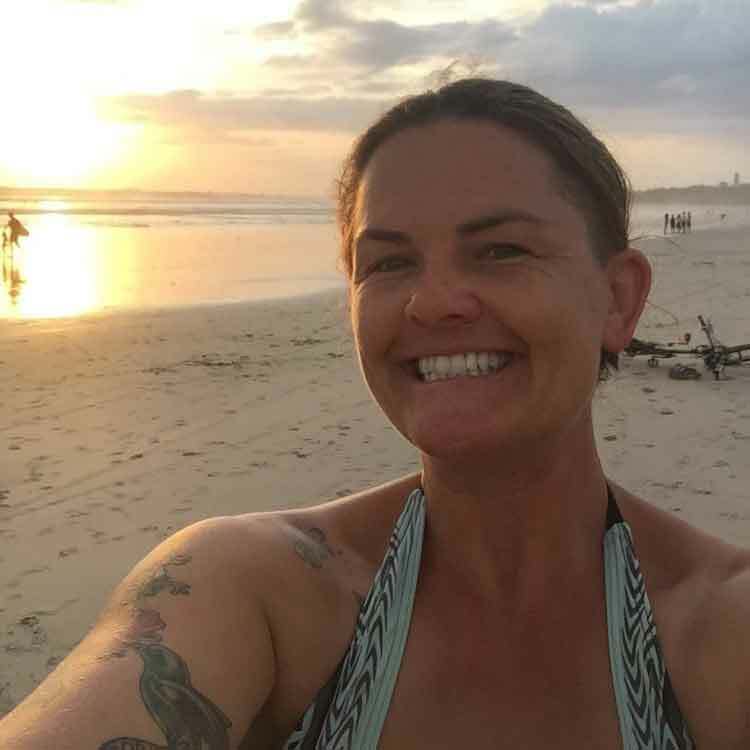 "The most rewarding aspect of dentistry for me is the opportunity to make the lives of other people just a bit better; from something small like advice on avoiding future cavities to something major like helping a patient out of pain. I feel a dentist is in a partnership with each person she cares for and her part of that partnership is to always provide honest, carefully researched information and to provide the best in dental care." 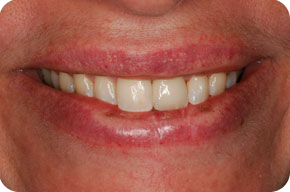 Veneers are porcelain coverings that are bonded to the front of your teeth to look and act like natural tooth structure. 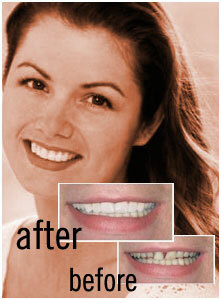 They are a popular cosmetic procedure and can reverse a wide variety of smile problems. 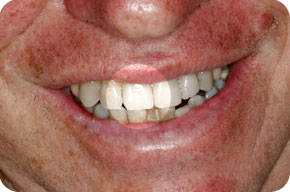 Discolored, stained or yellowed teeth can be made white again, chipped teeth made whole, spaces and gaps closed and slightly crooked teeth straightened. Your smile can be customized into more ideal proportions in as little as two visits. Many people are interested in straightening their teeth but don’t want to wear visible metal braces. Invisalign is a series of thin removable plastic trays called “aligners”. The patient wears the aligners until a more ideal smile is achieved. Perfect for adults who have had braces and just need a touch up or for people who have never had braces and want a minor correction. The aligners are undetectable and can be worn at all times. If you've lost teeth or may need to, implants are the most superior and reliable method of tooth replacement. They reproduce the natural look and function of your original teeth and restore your smile to what it was. Implants bond with the bone in imitation of the original root structure of the tooth enabling you to bite, chew and smile without any worries about stability, comfort or esthetics. If you are wearing a bridge or a denture, implants can replace your current dental work and give you your original and natural smile back. 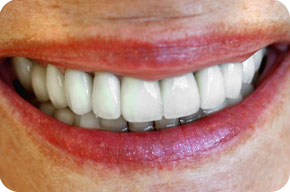 No other procedure in dentistry reverses aging like dental implants can. Although it is our goal to preventative cavities, tooth decay does occur. If you need a cavity filled, there are a few options for you to consider. Not all filling materials are appropriate and suited for every situation. We are happy to discuss the benefits and limitations of the following options. Porcelain Inlay/Onlay The tooth decay is removed and replaced by a porcelain piece customized and crafted to look like the natural portion of the tooth. Gold Inlay/Onlay The tooth decay is removed and replaced with a customized piece of gold metal. Composite Resin The tooth decay is removed and white, tooth colored composite resin is flowed and packed into the cavity. Amalgam The tooth decay is removed and silver colored amalgam is packed into the cavity. If you are suffering from Temporomandibular Joint Disorder, termed TMD, you will notice some or all of the following symptoms: jaw pain, stiffness, noises or difficulty upon opening your mouth, excessive wear on your teeth, an uncomfortable bite or a bite that seems to change over time, neck and shoulder pain, headaches or ringing in the ears or earaches. The goal of temperomandibular joint rehabilitation is the goal of all physical therapy procedures, to restore the joint to optimal function and to relieve pain. Typically this is done with splint therapy, customized as needed to stabilize and relieve the joint. Once splint therapy is completed, the bite is assessed and modified if necessary to correspond to the appropriate joint relationship. Dr. Iverson specializes in temporomandibular joint rehabilitation and splint therapy and has received extensive training in this area. You may have a beautiful smile but feel your teeth look short or that you show too much gum. Often, the gum can be reshaped to give your smile a more balanced, even look and give the appearance of lengthening your teeth. 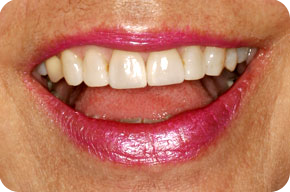 Laser Gum Recontouring is quick and fairly painless with a short healing time. Often this service is provided in conjunction with Porcelain Veneers in order to create symmetry and create a more ideal smile proportion. Over time, the brightness of your smile will diminish due to staining foods, beverages and smoking. 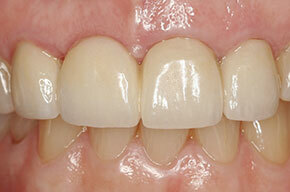 Whitening is a very simple process with dramatic, age reversing results. You chose the method and strength of whitening that suits you best depending upon the results you want to achieve. Want your smile brightened just a little? Take home our home-bleaching kit. Want a significant change? Let us bleach your teeth in our office in a little over an hour. 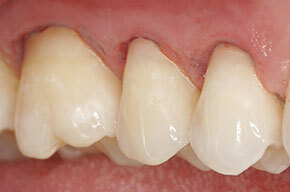 A tooth may need a crown if enough of the structure is gone from decay or if the tooth is fractured. If you need a crown you have three options to consider. Not all crowns are appropriate and suited for every situation. We are happy to discuss the benefits and limitations of the following options. Relax in our reclining massage chair, take in the panoramic views of San Francisco and have your teeth cleaned! If you have needed more thorough cleanings in the past or if you currently need one, our hygienists are skilled and gentle with a very high level of success. They can design and customize a periodontal maintenance program that suits you individually. Over time, years of mismatched or poorly fitted crowns and fillings can so significantly alter the bite that they cause additional damage to the teeth and the joint of the jaw (Temporomandibular Joint or TMJ). 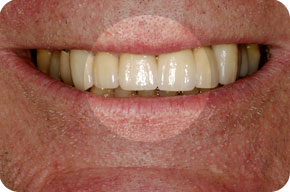 Habits such as grinding and clenching can wear down the teeth until they are short and flat, literally being worn away. You may notice pain or noises in the temporomandibular joint, have stiffness or limited range when opening your mouth or develop periodontal problems. 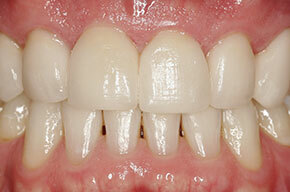 Full Mouth Reconstruction is necessary when a patient must have thier teeth restored to optimum function. FMR will preserve the integrity of the joint and of the teeth by relocating the stresses of chewing to the most advantageous and appropriate locations. Sometimes termed Temporomandibular Joint Rehabilitation for Temporomandibular Disorder (TMD). Dr. Iverson has received extensive training in TMD and specializes in joint rehabilitation and FMR. We love our patients as much as they love us. This office made me enjoy going to the dentist. Friendly, serene, calming. Wonderful hygienist, gentle and quick. Dr. Iverson and Dr Syers are fantastic, I always feel welcome and I always feel very well taken care of. And my teeth have never looked or felt better. 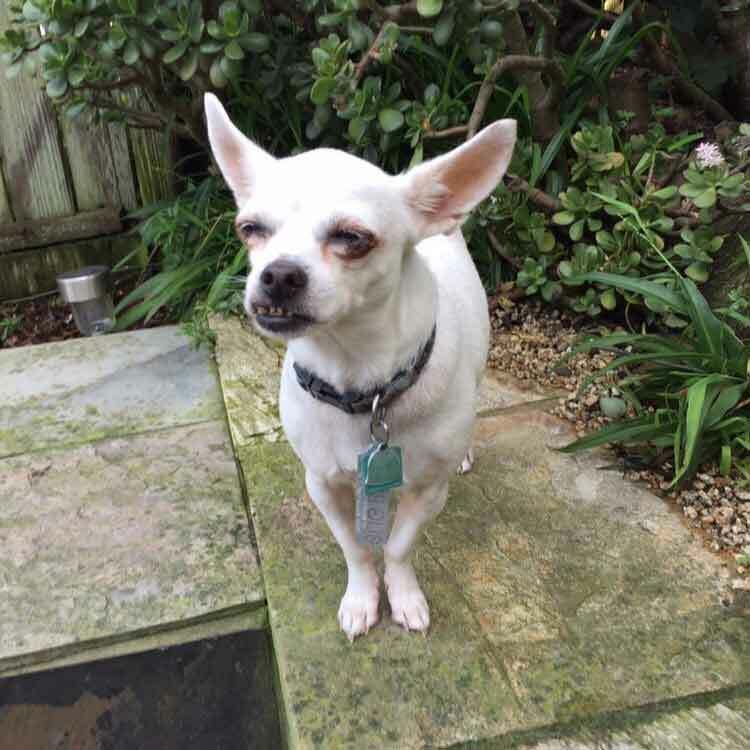 "From the kind greeting when I walk in, to the gentle and thorough cleanings as well as the professional exam and procedures I feel completely cared for. I can not refer them enough to anyone who wants the best dentist around." "Both Dr Syers and Dr Iverson are exceptionally great dentists with excellent people skills. All of the office staff is great too. I have been seeing the same hygienist Shadelly all these years, she is exceptional as are the rest of the people in this dental office. " "In a crazy busy world, I always find their office to be a quiet calm oasis. Everyone is so friendly and I don't have any anxiety about going to the dentist. My hygenist is quick and gentle, and I always feel very well taken care of. I highly recommend this office." "Long history of courteous, positive service with friendly faces and a relaxing environment. If you fear the dentist, this is a great fit for you!" "Their practice is the best. They are extremely professional and friendly. The staff is also great. I would never consider going any where else. I recommend them without reservation." © 2018 Jackrabbit Pollack. All rights reserved.